Though I appreciate a medieval-set romance, I’m aware of its challenges. It is difficult for a romance author to capture the strangeness of the medieval world and still make the romance familiar. Thus far, only two romance authors I’ve read achieve this successfully (mind you, I haven’t read much medieval romance, these are the ones who work for me): Blythe Gifford (Secrets At Court is my favourite) and Elizabeth Kingston. But, like Kingston’s mentor’s books, Laura Kinsale’s, it took me a long time to warm to Desire Lines. To look to the novel’s opening, “It began in beauty and in blood.” A beautiful, knife-laden young woman, Nan, rescues a Welshman, originally sent to the English King Edward I as obeisance from the young Welshman’s father, Welsh royalty. 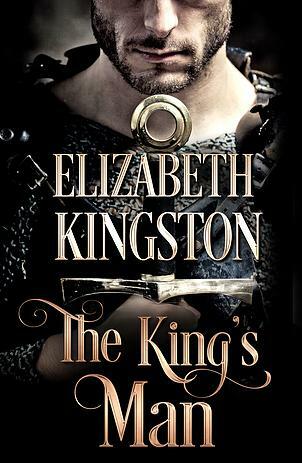 (England’s 13th-century conquest of Wales is the historical context of Kingston’s novel.) Gruffydd ab Iorwerth has been knight, prisoner, and captive. He’s lived in the luxury of the English court, then hid for years in a monastery, made friends and enemies, tamed and hunted with his beloved falcons (his marketable skill, important to English lords) and been chained, starved, and beaten.